Chicago is a brewer's kind of town. The city's history is chock full of beer, dating back to the 19th century, persisting through the dark days of Prohibition, and finally to the near constant industry expansion we see today. 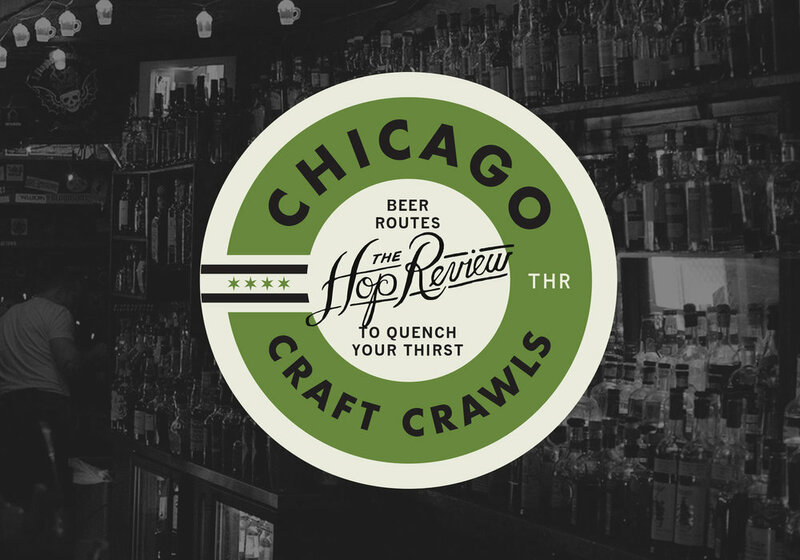 If you define, as most do, the "modern" craft beer movement as beginning sometime in the late 1980's, there's an unquestioned name that pioneered the local movement during an otherwise miserable time for craft beer in Chicago. That name is Goose Island, founded in 1988 by John Hall. With over 60 breweries, either open or planned, now gracing our Chicago city brewery map, Goose Island is by far the oldest consistently operating brewery. Always willing to adapt to an ever evolving industry, perhaps the biggest change to the famous Goose Island brand came in 2011 with the much publicized sale to Annheuser-Busch. Often overlooked amidst the media frenzy surrounding the sale was what wasn't included. Goose Island Clybourn, and its sister location in Wrigleyville, are completely independent and still owned by John Hall. Today they operate as entirely separate companies from the better known Fulton Street location and, as we found out, share very little with their big brother to the south. JN: I was the assistant manager at Erehwon Mountain Outfitters, selling North Face jackets to Lincoln Park. Wow, that's not quite brewing either! JN: No, I had no formal brewing experience either. I've homebrewed twice. It was undrinkable though. JN: Looking at the science that's being provided to you by hop farms and maltsters, telling you whats the chemical makeup, what they have done to manipulate the raw ingredients - it will slowly give you and idea of what it will build into for a final flavor. JS: That's a good question and it's kind of an interesting one. I think that might be one thing that the pub has always struggled with. Because of the success of the brand, people come here expecting 312, Honkers, IPA, Matilda, the sours, and Bourbon County. But once they realize what we do here and why this is significant in the whole grand scheme of things at Goose Island, they start to realize a little bit more. At the heart and soul of every brewpub is creativity and not having to commit yourself to brewing the same thing consistently. Everytime we come in here there's always something new. We're always doing special tappings of really small batch things. I think that's where we fit into this whole thing. This place has such a decorated history of really great brewers. I think the success of this is because of the talent that's worked here over the last 27 years. And even brewers with not a lot of experience, like Jon and myself, have grown with this place and keep it really fresh and interesting. This place has been really great at motivating creativity and I think it goes back to not having to do the same thing over and over again. The forever evolving menu is really the heart and soul of what this place is. JN: Maybe some Sierra Mist.? No, I've got a barrel aged Temperance Might Meets Right in there right now. I hate to say it but my go-to is Yuengling. My wife is from Dayton, Ohio so whenever she goes home she gets some. I grew up on that. It was the first beer I ever stole from my uncles. Thanks to Jacob and Jon for having us into the brewery and opening up their cellar for us to sample some truly fantastic and unique brews. Keep an eye on the Goose Island Clybourn Facebook page for their weekly releases.